Many aspects of jewelry and settings are better understood with the help of a detailed glossary. 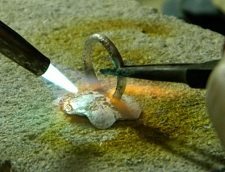 There are many useful terms that help to understand the use of the techniques and styles of settings and how they have been used in jewelry throughout time. 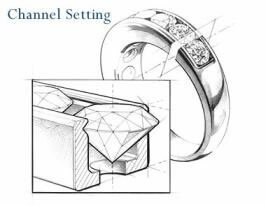 This glossary features an extensive listing of terms related to settings and jewelry construction, and will help to provide context and further information about everything that has been presented on our Settings pages. 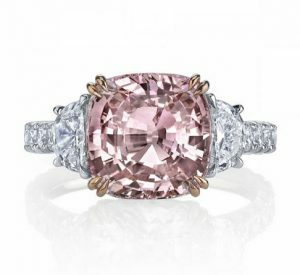 Pink diamond ring with diamond accent stones. Accent stone: refers to side stones that enhance a larger central gemstone in a setting. Diamonds are often selected as accent stones, but any gemstone may be used. Aigrette: a piece of jewelry that either contains feathers or resembles a plume of feathers that is usually worn in the hair, on a hat, or in a turban. Antique Afghani silver tribal bracelet. Antique jewelry: refers to jewelry made more than one hundred years ago. Art Deco: an international design movement popular from 1925 to about 1939, which is based on streamlined geometric shapes. Art Nouveau: a style of art and architecture that peaked in popularity between 1890 and 1905, which is characterized by organic forms and highly stylized curvilinear forms. An Arts and Crafts silver and gemstone brooch. Arts and Crafts style: a British and American aesthetic movement, spanning 1880 to 1910, that was inspired by the writings of John Ruskin and the romantic ideal of the craftsman. Asterism: a term that refers to the stars that can be seen in some cabochon-cut gemstones. Astrological jewelry: jewelry that relates to astrology and the zodiac. 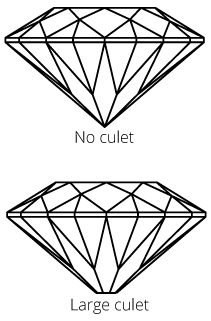 A drawing that illustrates a bar setting for jewelry. Barbarian jewelry: the “barbarians” as they are collectively called, were separate groups of semi-nomadic tribes that controlled various parts of Europe from approximately 400 to 800 A.D. Despite this characterization, the Visigoths, Ostrogoths, Franks, Lombards and Anglo-Saxons were not at all uncivilized, and their jewelry and art provide ample evidence of this fact. 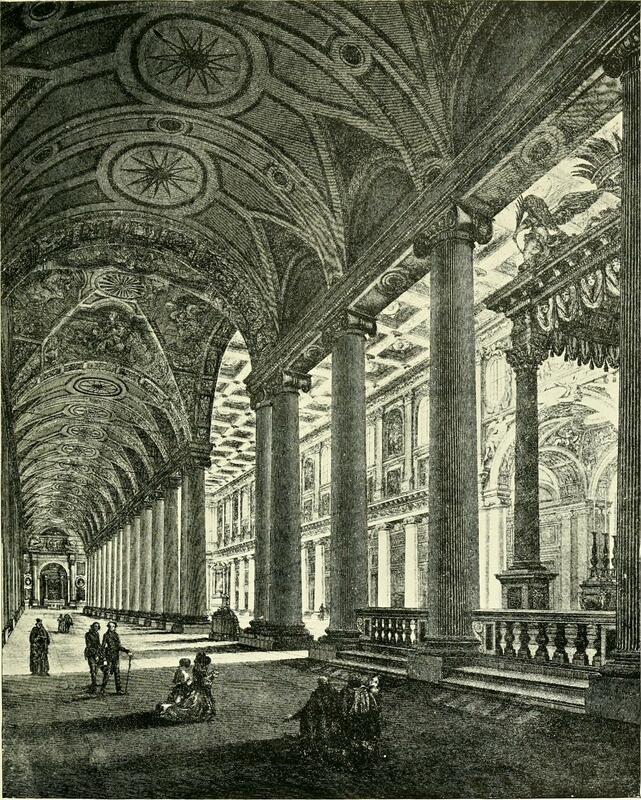 Baroque: a Western cultural period, which began near the onset of the 17th century in Rome, Italy. It was exemplified by drama and grandeur in sculpture, painting, literature, dance, and music. 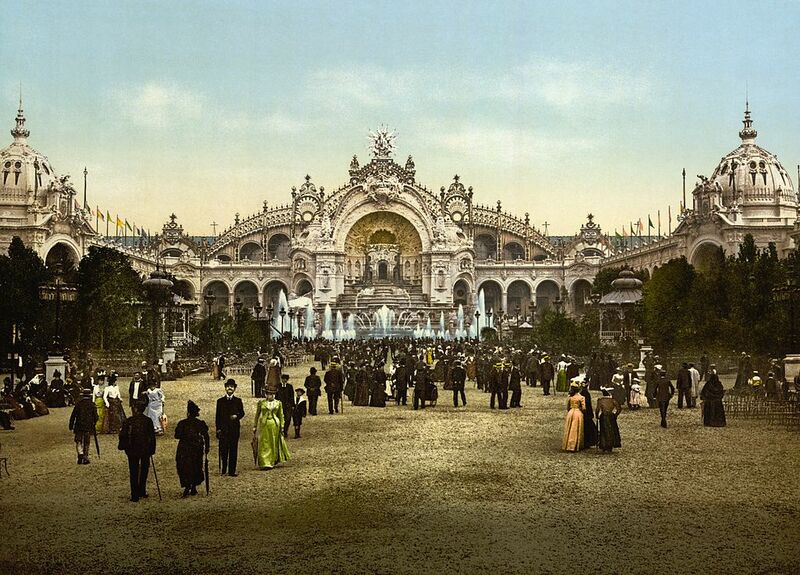 A photograph of one of the pavilions from the World’s Fair in Paris in 1900 at the peak of the Belle Epoque period. Belle Époque: a period in European history that began during the late 19th century and lasted until World War I. 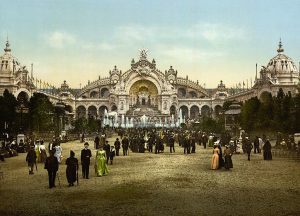 The Belle Époque was considered a “golden age” of peace and prosperity fostered by new technologies that improved people’s lives. Bezel setting: a setting where a strip of metal encircles the edge of the stone. It is also called a rub-over setting. This is a popular means of setting cabochon gemstones. 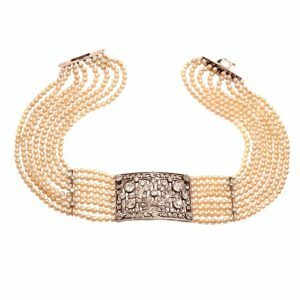 Bib necklace: a necklace made of multiple strands and baubles that covers much of the upper chest. 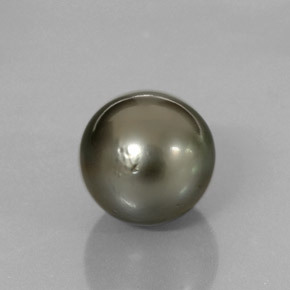 A small blemish on a gray Tahitian pearl. 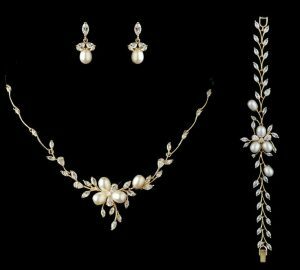 Bridal jewelry: jewelry worn by the bride on her wedding day. 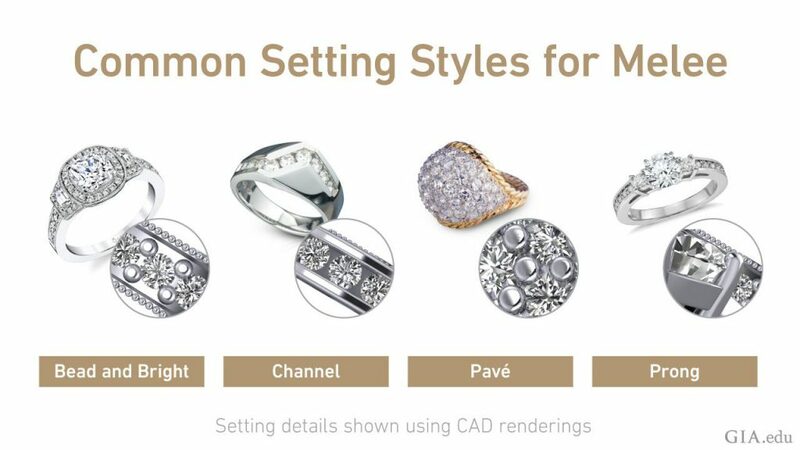 Bridal Set/Wedding Set: refers to a set of two rings that fit and compliment each other, usually the bride’s engagement ring and the wedding band. A Trio Set is comprised of three rings–an engagement and wedding band for the bride, and a coordinating wedding band for the groom. 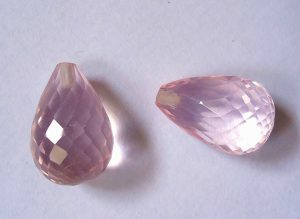 A pair of briolette cut rose quartz stones. 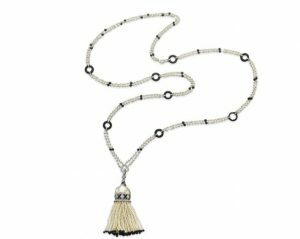 Buddhist jewelry: jewelry that celebrates aspects of the Buddhist religion. Byzantine art: refers to the art of the Eastern Roman Empire also known as the Byzantine Empire from c. 395 to 1453. It is a blend of Classical art and the art of the Near East. 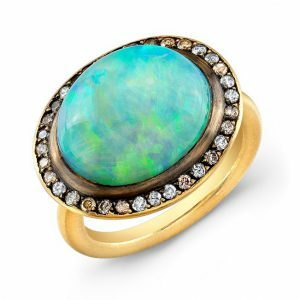 A gold, diamond, and opal cabochon ring. Calibrated sizes: gemstones cut to certain sizes to fit standard settings. 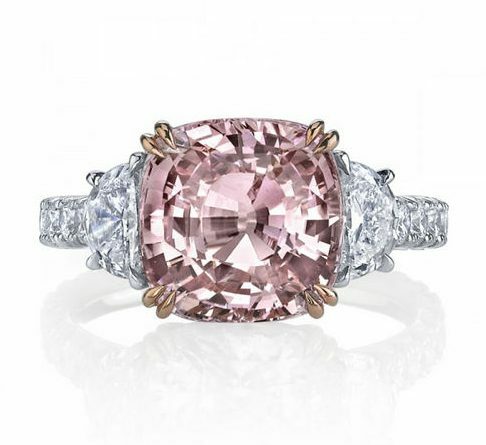 Carat: a unit of weight for a gemstone. This should not be confused with karat, the measure of the fineness of gold. Carolingian jewelry: the Carolingians were a dynasty of Frankish kings of whom the most famous was Charlemagne. The Carolingian Renaissance (8th and 9th centuries A.D.) is a revival of art, religion, and culture developed through the medium of the Catholic Church. The jewelry of this period is a mix of the Barbarian and Classical styles. Celtic art: an art and cultural tradition that began with Iron Age tribes in Europe. It is difficult to define precisely because it covers such a large extent of time, geography, and culture. Celtic art typically is ornamental and abstract, showing a preference for arabesque shapes and lines and spare use of symmetry. It reached its climax in the early Middle Ages in Ireland and parts of Britain. Drawing for a channel setting. 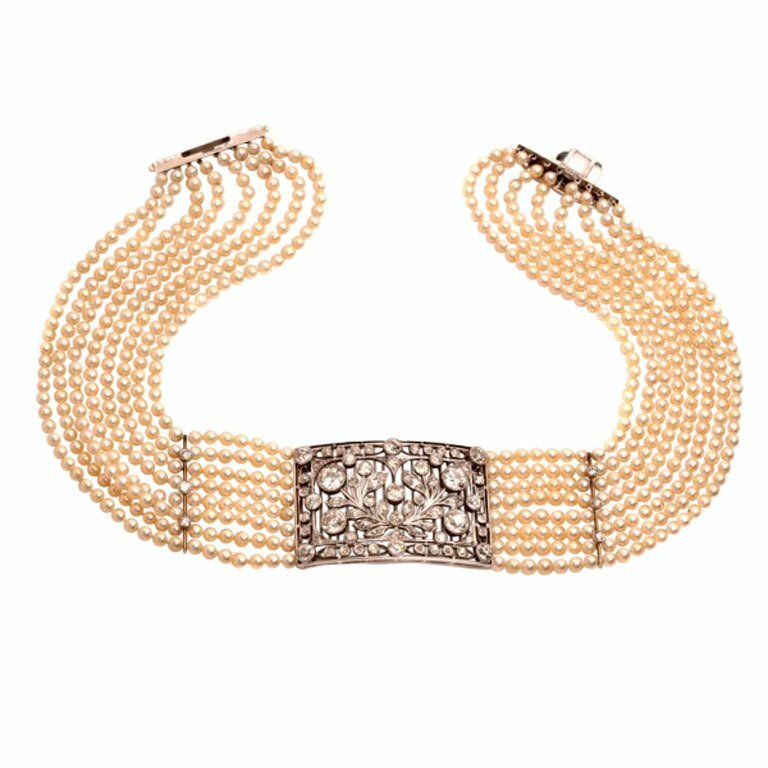 An antique seed pearl, diamond, and platinum choker. Choker: a short necklace (14″ to 16″) that sits at the base of the neck. Christian jewelry: jewelry that celebrates aspects of the Christian religion. Classical style: a style relating to Classical antiquity—a broad term for the cultural history associated ancient Greece and Rome. Jewelry in the Classical style is characterized by an interest in nature, which is represented with a high level of realism. 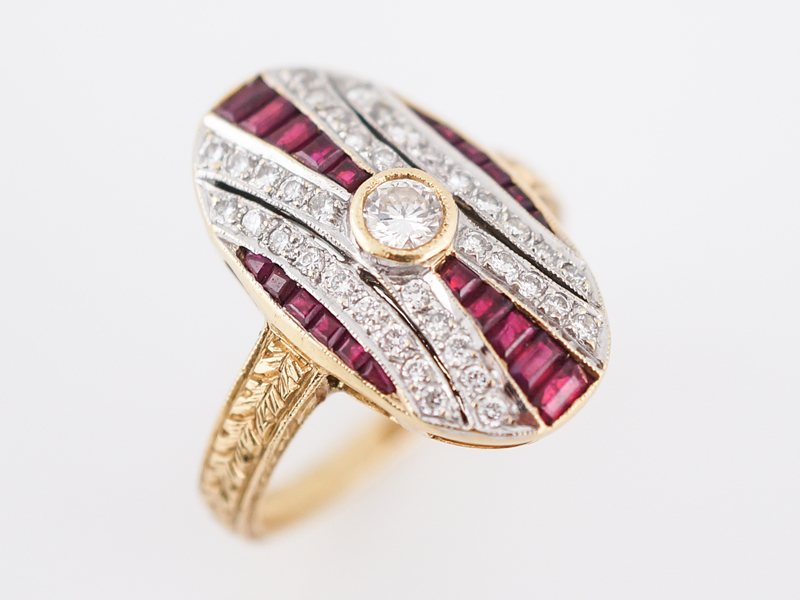 A Victorian-inspired Retro ruby and diamond cocktail ring. Cocktail ring: a fancy ring worn for dressy occasions, usually set with gemstones, produced by commercial jewelers since 1925. Color zoning: portions of a stone that exhibit different colors due to variable growth conditions during crystal formation. An illustration depicting a culet. Dichroic: a term for gems that exhibit two colors. Dispersion: the breakup of white light into spectral colors. 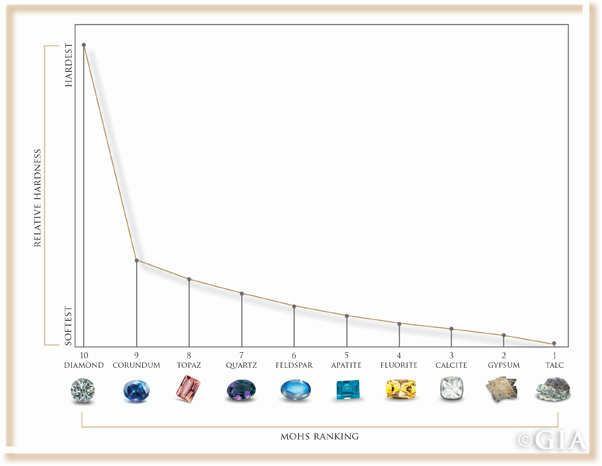 Diamonds have high dispersion; rubies have low dispersion for example. Dog collar: a necklace, usually comprising multiple strands, which is worn at the throat. 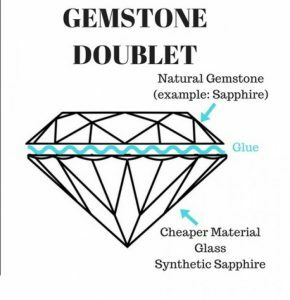 Double refraction: an optical doubling effect that is caused by the splitting of light into two separate components in an optically anisotropic gemstone. Drawing depicting a gemstone doublet. 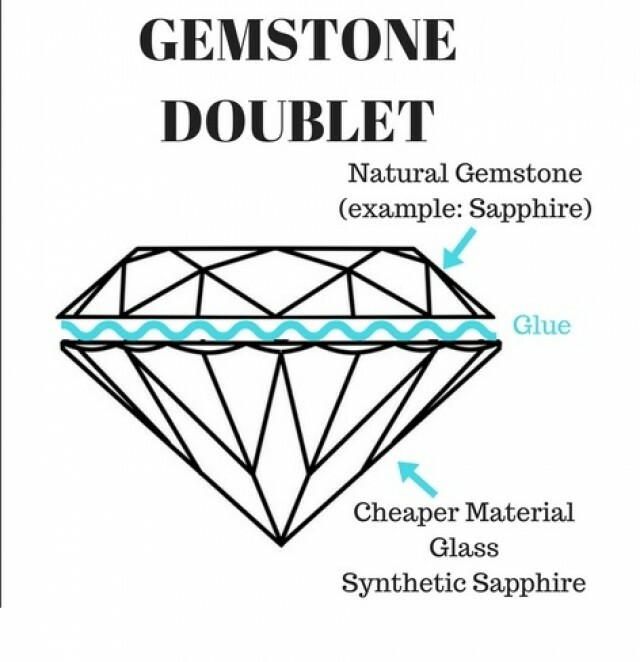 Doublet: an imitation gem that is assembled from two separate pieces cemented together. Edwardian period: the period during the reign of British King Edward VII from 1901 to 1910. Jewelry of this period is characterized by lacy designs executed in platinum and studded with diamonds. Elizabethan era: a period associated with Queen Elizabeth I’s reign (1558–1603), often considered to be the golden age in English history. It was the height of the English Renaissance. Enamel work: the fusion of colored glass onto metal. 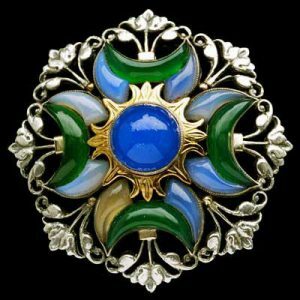 Different kinds of enameling include basse-taille, champlevé, cloisonné, plique-à-jour, and sgrafitto. 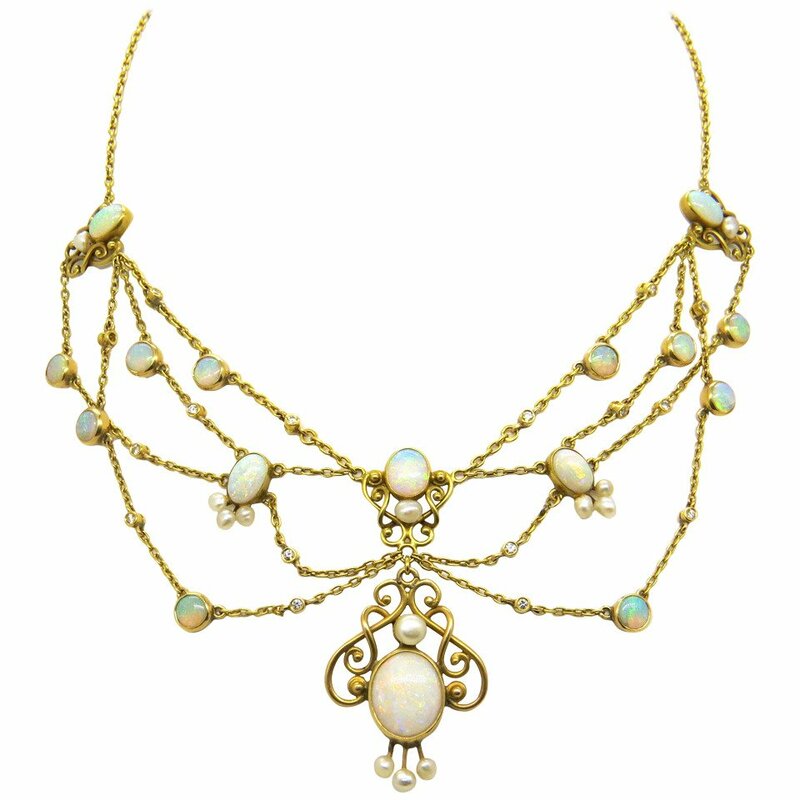 An antique opal and pearl festoon necklace. Fibula (plural fibulae): an ancient brooch used to fasten clothing. Finding: small metal parts used as components in the making or repairing of various items of jewelry. Finishing: adding the polish and symmetry to a fashioned gemstone. This term also refers to the process of cleaning and polishing an item of jewelry–where tool marks are removed, edges are smoothed, luster is achieved, or other surface effects are applied. 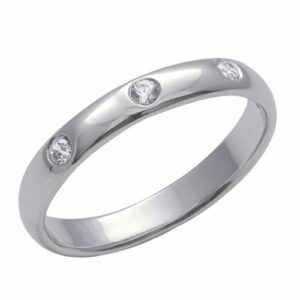 A white gold ring with diamonds in a flush setting. Fracture: a break or crack in a stone that is not along a cleavage plane. Fracture filling: a treatment where the fractures in a gem are concealed by a variety of fillers thus improving the apparent clarity. 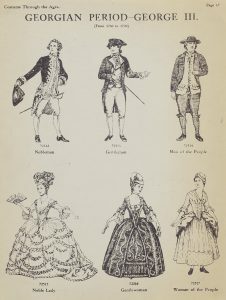 Illustrations of clothing during the Georgian period. 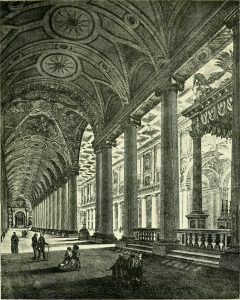 Georgian era: a period of British history defined to include the reigns of Kings George I to George IV, covering the period from 1714 to 1830. A sub-period known as the Regency period, from 1811 to 1820, is included in this term. Sometimes the reign of William IV (1830 to 1837) is also included. The term “Georgian” is normally used in the contexts of architecture and social history. Gothic art: a medieval art movement that lasted about 200 years from c. 1200 to 1400 A.D. It emerged in France after the Romanesque period and gradually evolved into the Renaissance. Graduated necklace: a strand of beads or pearls in which the size of each bead decreases toward the clasp. 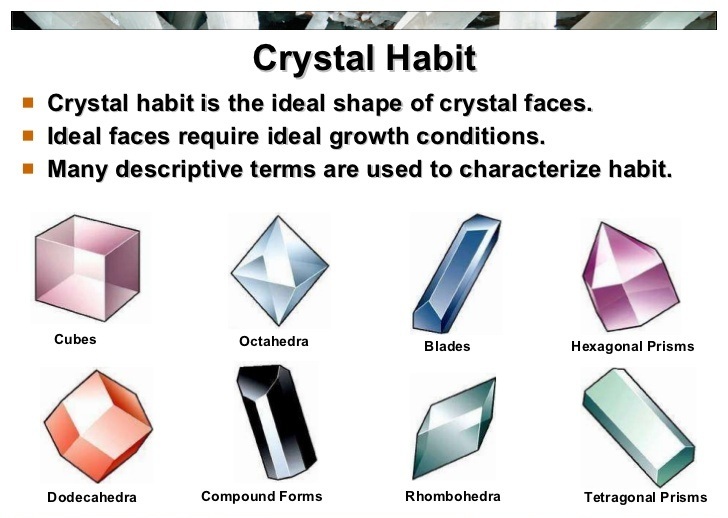 A chart illustrating crystal habit in minerals. 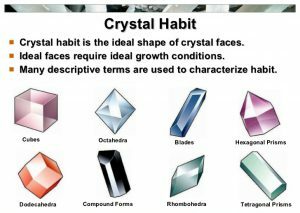 Hardness: a gemstone’s resistance to scratching and abrasion as measured by the Mohs scale. Head: refers to the top or ornamental part of a finger ring. Hindu jewelry: jewelry that celebrates the cultural and religious traditions of the peoples of the Indian Subcontinent. Hue: a gemstone’s basic color, as in red rubies. Inclusion: a feature of a gem such as a feather, a crystal, or a cloud. 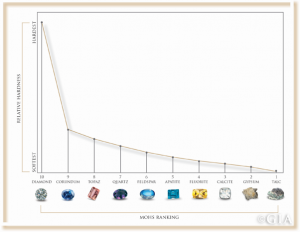 Inclusions can have both positive and negative effects on the value of a gem. 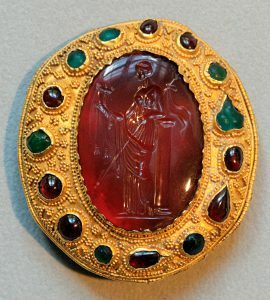 A carnelian intaglio set with a Ptolemaic Queen, circa 1st century B.C. Intaglio: an image carving frequently used in seals so that a raised design is left on the material being stamped. Invisible setting: a difficult setting to execute, stones are grooved just below their girdle and slid over wire supports. This allows many gems to be placed together with no gaps between them. Jewish jewelry: jewelry that celebrates aspects of the Jewish religion. Kabbalah jewelry: jewelry celebrating the Kabbalistic tradition, a mystical sect related to Judaism. 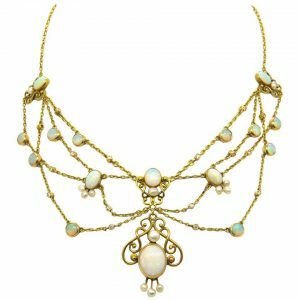 Lavalier(e): a necklace with two pendants of unequal length suspended from it—also called a negligee necklace. Lavalier is also used as a generic term to describe necklaces with a drop pendant. Livery collar: also called a “chain of office,” a heavy chain, usually of gold, which was worn as an insignia or a mark of fealty in Europe from the Middle Ages onwards. Luster: the surface appearance of a gemstone in reflected light. Matinee necklace: a necklace approximately 20 to 26 inches long. A depiction of common melee setting styles. Photo from gia.edu. Modern jewelry: refers to jewelry made within the last twenty or thirty years. 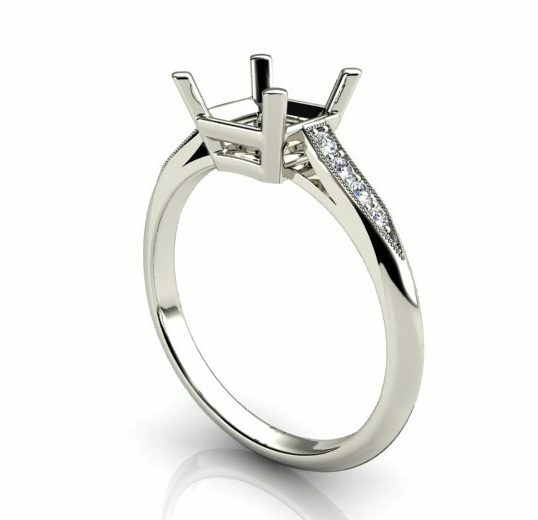 Platinum and diamond custom ring mounting design. Mother’s ring: a ring made with the birthstones of a woman’s children. Muslim jewelry: jewelry that celebrates aspects of the Islamic religion. Native cut: an informal gemstone cut that is determined by the natural shape, color, and clarity of a rough ruby crystal. New Age jewelry: jewelry celebrating aspects of Western spirituality, esotericism, alternative medicine, and religious practices that emerged in the 1970s and 80s. 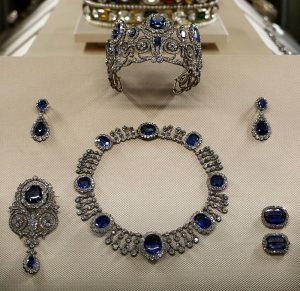 Sapphire and diamond parure created for Queen Marie-Amelie of France. Opera necklace: a necklace approximately 27 to 34 inches long. Phenomena: an unusual optical effect in a gemstone, such as asterism or chatoyancy. 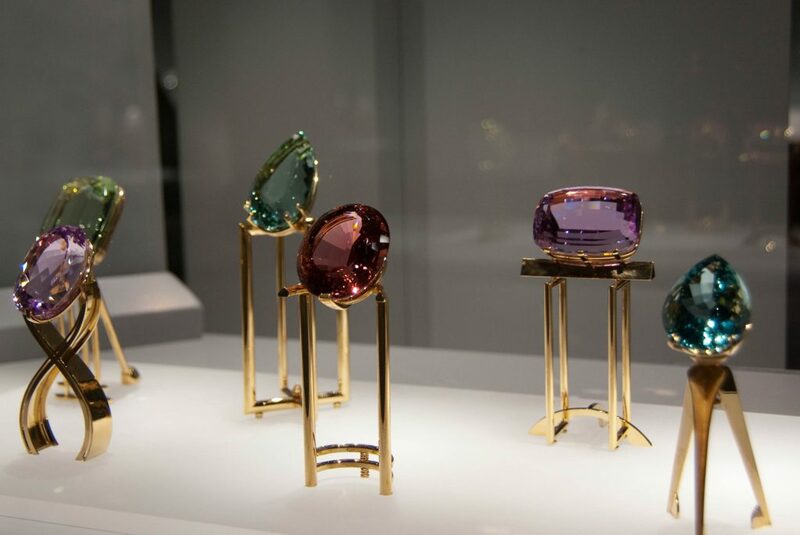 Pleochroic: describes a gem that exhibits different body colors when viewed from different directions. Porosity: a metal defect that appears as pits or holes in the metal’s surface. Princess necklace: a necklace approximately 17 to 19 inches long. 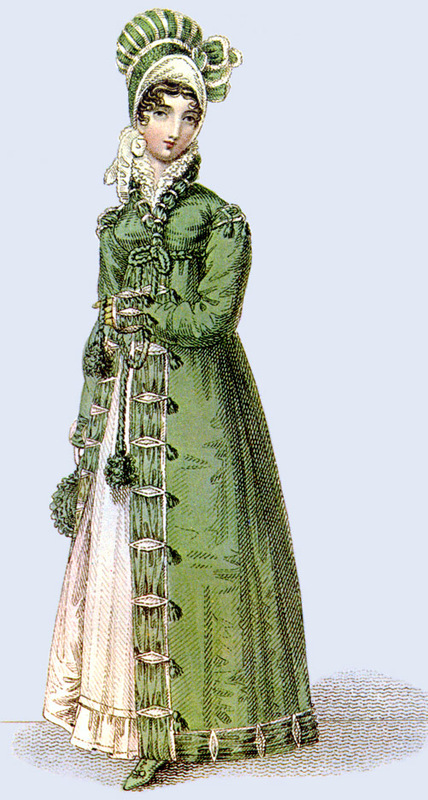 Common walking dress style from the Regency Period, circa 1817. Regency period: the period between 1811 and 1820, when King George III was deemed unfit to rule and his son, later George IV, was installed as his proxy. 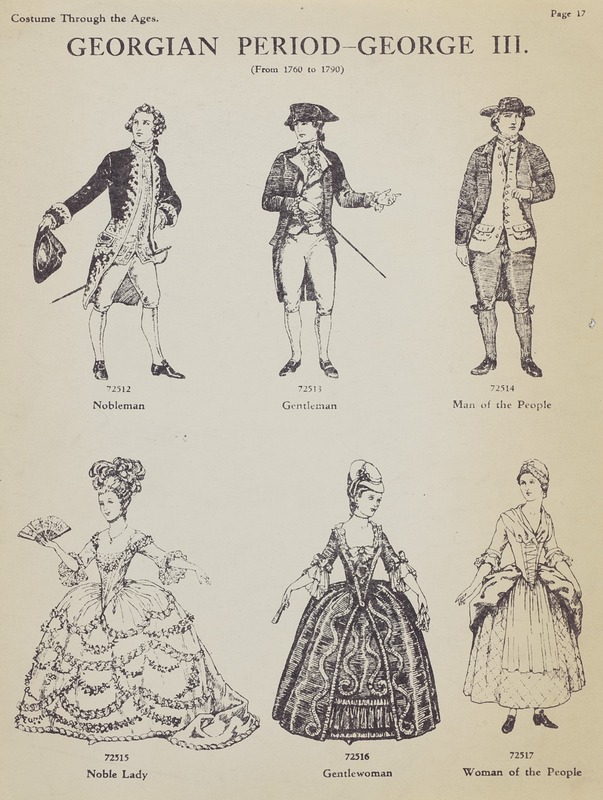 The term is often expanded to apply to the years between 1795 and 1837, a time characterized by distinctive fashions, politics and culture. In this sense, it can be considered to be a transitional period between the “Georgian” and “Victorian” eras. Renaissance art: a cultural movement–lasting from about 1400 to 1600–that began in Italy in the late Middle Ages and spread throughout Europe. Retro style: a popular art and jewelry style that encompasses the 1930s to the 1950s. Influenced by its predecessor, Art Deco, the retro style also uses geometric shapes, but they are generally bolder and heavier. Right hand ring: a new fashion trend for right hand cocktail rings–designed to sell jewelry and celebrate a woman’s success and independent spirit. 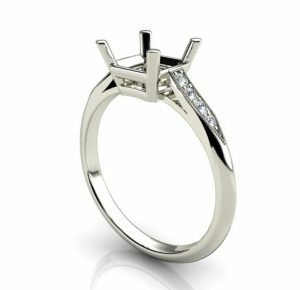 Ring jacket: also called a ring guard or wrap, a jewelry element designed to fit over the band of a solitaire engagement ring to both protect and further enhance the solitaire itself. Romanesque: refers to the art and architecture of Western Europe from approximately 1000 A.D. to the rise of the Gothic style in the 13th century. Rope necklace: a necklace longer than 36 inches. Sacred geometry jewelry: jewelry inspired by a system of religious symbols and structures involving space, time, and form. An Art Deco pearl and onyx sautoir. Shank: the band of a finger ring. Silk: needle-like inclusions that create the “velvety” or “sleepy” texture and “stars” found in some gemstones. Slide: a type of jewelry pendant through which a supporting chain or ribbon is passed. Subadamantine: describes the luster of a gemstone when the reflections off the surface are sharp, but not quite as sharp as seen in a well-polished diamond. Synthetic: a man-made gemstone that has the same composition and structure as its natural counterpart. 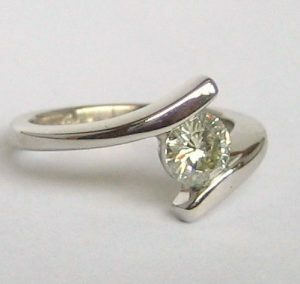 A diamond set in the tension setting of a ring. Tension setting: a modern setting that requires no bezel or prongs where the stone seems to float in mid-air. In this setting, a gemstone is held in place by the metal shank or band, which presses on the stone’s girdle in a spring-like manner. Thermal enhancement: another term for heat treatment in which a gemstone’s color or clarity is improved. 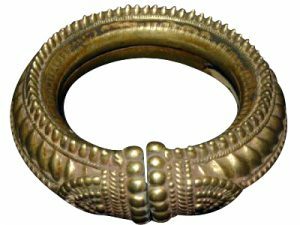 Torc: also spelled torq or torque, a rigid, open-ended necklace or bracelet. Torcs are well represented in ancient Scythian and Celtic jewelry produced in the European Iron Age. Illustrated scale of gemstone toughness. Photo by gia.edu. Trace elements: atoms in a gem that do not constitute part of its basic chemical composition but occur as minute impurities. Trace elements determine the color of some gemstones. Trilogy ring: an engagement or anniversary ring with three stones, which symbolize the past, present, and future of the happy couple. Trinity ring: a ring consisting of three interwoven bands often made of different precious metals alloys. Uniform necklace: a necklace where all the beads or pearls are the same size, unlike a graduated necklace. 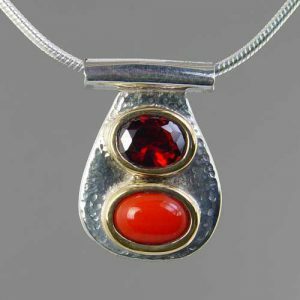 A silver, garnet, and carnelian pendant inspired by Vedic astrology. Vedic jewelry: jewelry that celebrates aspects of ancient Vedic texts. Victorian era: refers to Queen Victoria’s rule from 1837 to 1901. The era was preceded by the Regency era and succeeded by the Edwardian period. The latter half of the Victorian era roughly coincided with the first portion of the Belle Époque era of continental Europe. Vintage jewelry: refers to jewelry made between twenty and one hundred years ago. Vitreous: describes the luster of a gemstone when the reflections off its surface resemble those of glass. 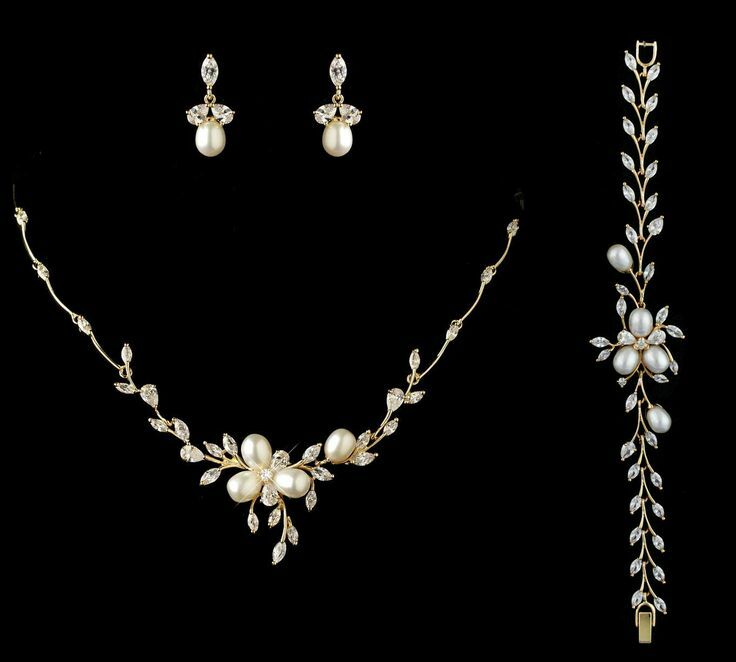 A pearl and diamond jewelry wedding set. Wedding Set/Bridal Set: refers to a set of two rings that fit and compliment each other, usually the bride’s engagement ring and the wedding band. A Trio Set is comprised of three rings–an engagement and wedding band for the bride, and a coordinating wedding band for the groom.